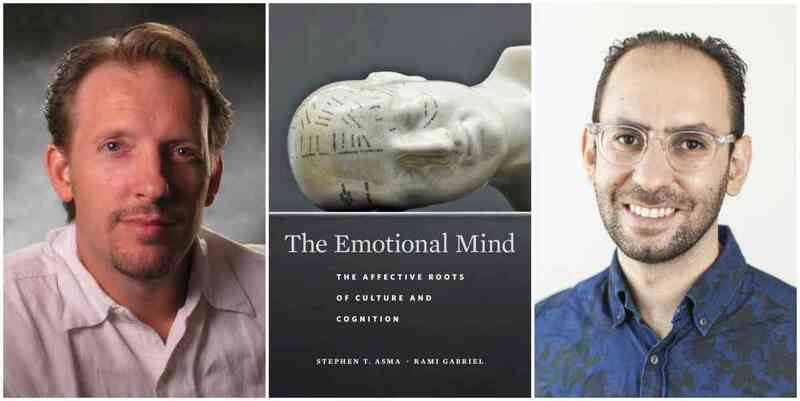 A discussion with Rami Gabriel and Stephen T. Asma, co-authors of The Emotional Mind: The Affective Roots of Culture and Cognition. They will be joined in conversation by Dr. Dario Maestripieri. A Q&A and signing will follow the event. Presented in partnership with the Research Group in Mind, Science, and Culture at Columbia College Chicago. About The Emotional Mind: Many accounts of the human mind concentrate on the brain’s computational power. Yet, in evolutionary terms, rational cognition emerged only recently. For nearly 200 million years before humans developed a capacity to reason, the emotional centers of the brain were hard at work. If we want to properly understand the mind, we must explore this more primal capability that we share with other animals: the power to feel. Emotions saturate every thought and perception with the weight of feelings. The Emotional Mind argues that many of the distinctive behaviors and social structures of our species are best discerned through the lens of emotions. Even the roots of so much that makes us uniquely human―art, mythology, religion―can be traced to feelings of caring, longing, fear, loneliness, awe, rage, lust, playfulness, and more. From prehistoric cave art to the songs of Hank Williams, we explore how the evolution of the emotional mind stimulated our species’ cultural expression in all its rich variety. Bringing together insights and data from philosophy, biology, anthropology, neuroscience, and psychology, The Emotional Mind offers a new paradigm for research into the complex origins of human uniqueness. About Stephen T. Asma: Stephen T. Asma is Professor of Philosophy at Columbia College Chicago and a founding Fellow of its Research Group in Mind, Science and Culture. He is the author of seven books, including Against Fairness, On Monsters, and Why We Need Religion. About Rami Gabriel: Rami Gabriel is the author of Why I Buy. He is Associate Professor of Psychology at Columbia College Chicago and a founding Fellow of the college’s Research Group in Mind, Science and Culture. About Dario Maestripieri: Dr. Dario Maestripieri is Professor in Comparative Human Development at the University of Chicago. Tracing the leading role of emotions in the evolution of the mind, a philosopher and a psychologist pair up to reveal how thought and culture owe less to our faculty for reason than to our capacity to feel.